Vintage / Antique Perfection Kerosene Heater / Stove "Sorry This Item is Sold"Vintage / Antique Perfection Kerosene Heater / Stove, Item # 660, Great for heat in shop, garage, Man Cave, Woman Cave, Bathrooms, Ice House, Cabin, Camping or just cozying up to watch the old TV. 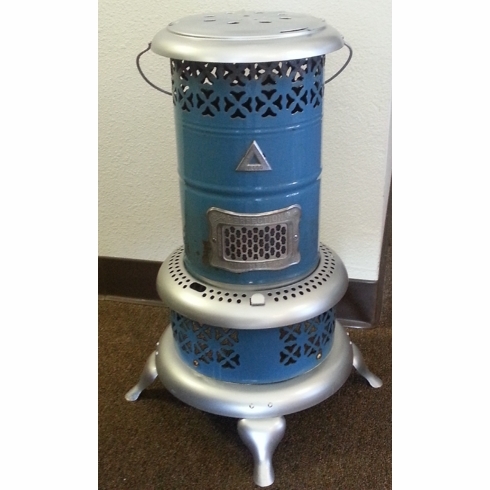 Home | Used Items | Vintage / Antique Perfection Kerosene Heater / Stove "Sorry This Item is Sold"
Great for heat in shop, garage, Man Cave, Woman Cave, Bathrooms, Ice House, Cabin, Camping or just cozying up to watch the old TV. Works great on patio, sun rooms any where you need heat, and this baby puts out!